Roulette games is a UK online roulette guide and portal established in 2009 by a group of friends and roulette enthusiasts. Over the years we have played at many casinos, land based and online and tried a huge amount of games, from free RNG (random number generated) versions to live dealer roulette at the UK’s top casinos. When we are not playing roulette or other casino games online, we are playing in brick and mortar casinos. The purpose of this site is to provide you with guidance, bonuses and reviews to the best UK online roulette casinos and also the best free roulette games to help you practise. We also provide you with exclusive UK roulette bonuses that are only available via this website. So what are you waiting for? Choose a casino and start spinning that wheel! £100 welcome bonus available here! Basic principles of Roulette. A step by step guide to the game. If you are playing roulette in person rather than online roulette, you will also have a croupier, which is another important thing to consider. If you choose to play online, then it is not necessary to have a croupier, because their role will be completed automatically by the computer system behind the game unless it’s live dealer roulette. In order to be successful, it is important to know how the game progresses through each of its stages, which are described below. 1. Firstly, all of the players at the table will place their chips on the table that they want to bet with, in the box corresponding with the outcome that they would like to bet on. 2. If you wish, you are able to choose a line to widen your bet and therefore improve your chance of winning. However, if you do this, the amount that you win will be lower, but your chances of winning anything at all are higher – so it is up to you which you would prefer to do. 3. 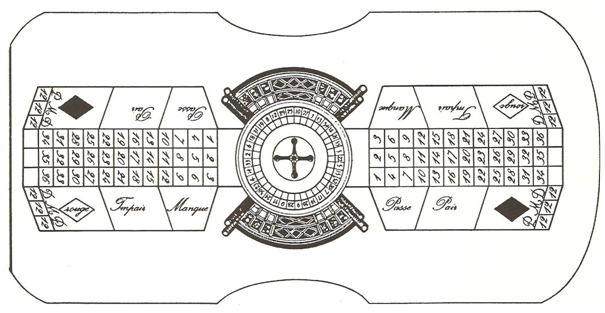 When everyone has finished placing their bets, which they will be given a certain amount of time to do, the wheel will be spun and then the ball will be sent around the wheel in the opposite direction. If you are playing online roulette then you will be able to start the game by pressing a button to spin the wheel. 4. 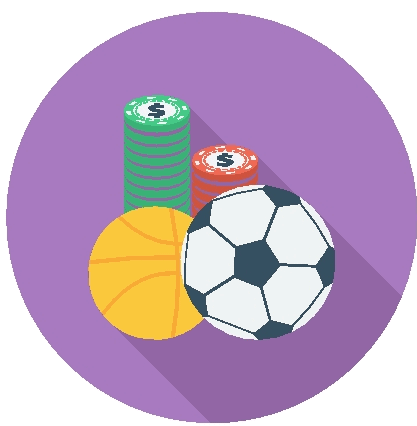 Players are able to move their chips to amend their bets even when the ball has started to move – so don’t worry if you’re not absolutely certain about which bet you would like to place. 5. As the wheel starts to slow down, the ball will move further in, from rolling around the outer rim to actually moving across the numbered pockets. When this starts to happen, no more bets will be allowed to be placed, and the croupier will make an announcement at each game when this is the case. 6. When the wheel comes to a stop, the ball will settle in one pocket, and at this point a marker will be placed on the table to confirm what the winning number was. If you are playing in a physical casino then the croupier will do this, but if you are playing online then it will be done automatically by the game software that is being used. 7. All of the chips from losing bets will be collected from off the table, and any winnings will be paid to players as required. Again, if you are playing online then this will be done automatically by the software before the next game starts. Broadly speaking, the aim of roulette is to guess which of the pockets on the wheel the ball will come to rest in once the wheel has finished spinning. You win money by placing your betting chips – however many you want – on the numbered spots that are on the gaming table. 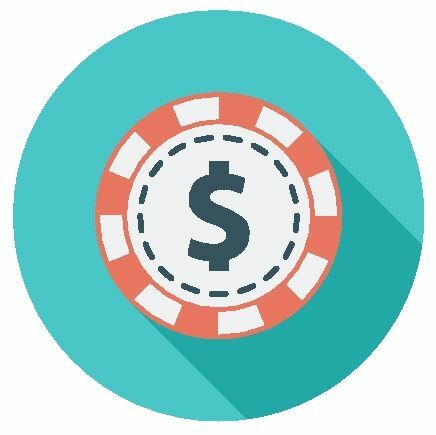 In this game, unlike others that you might play in a casino, the players are betting against the casino itself rather than betting directly against other players. There are a number of rules in the game of roulette; most of which aim to decrease your chances of winning, as this is in the best interests of the casino in which you are playing. Although the casino has undoubtedly better chances if you look at the odds of the game, there is a chance that you can use the rules to your own advantage if you understand how to use them in such a way. Learning how to do this is how some people manage to be much more successful within a casino environment than others. There are different types of roulette depending on which country you’re playing in. It is always important that you are able to understand the rules for the game you’re playing, as this gives you the best chance to use them to your advantage. A major difference to point out to begin with is the fact that with American roulette, you have the choice of both zero and double zero on the table, whereas on a European wheel you can only choose zero. This means that if you’re playing European roulette you have a better edge over the casino than if you are playing American, so if you have the choice between the two, for example if you are playing online and have both as an option, it is always the best idea to go for European roulette if you can. It is vital that you understand some of the key variations in the game, which are explained below. 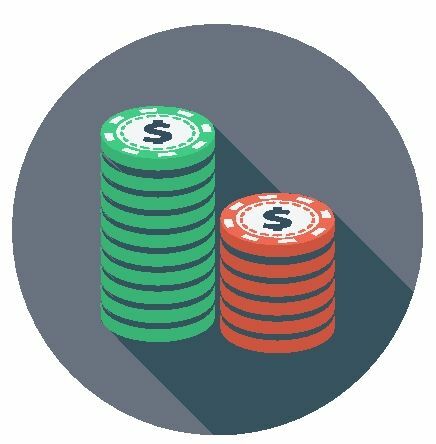 No matter whether you’re playing online or in a physical casino, the two most common options for roulette are American and European. As you might guess from the name, European roulette tends to be played in Europe, whereas American is played in the USA. However, some casinos do offer both, and there is often a choice if you are playing online. As mentioned above, the double zero option on an American wheel lowers your odds of winning quite dramatically, so if you ever have the choice of playing European, it is the ideal solution. 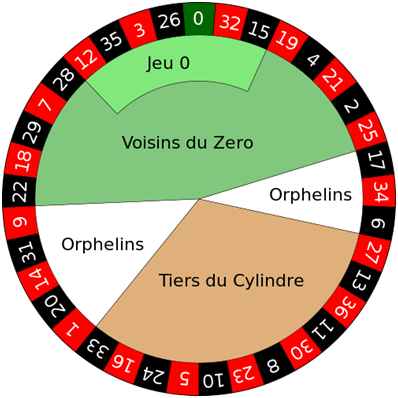 Not only do you need to know about the differences between European and American roulette, but there are also some changes in the table layout in French roulette. In some respects, French roulette is quite close to European roulette. The first thing to note is that the number of pockets on the wheel are the same with both types. The first and potentially most problematic difference with French roulette is that all of the words are in their native language. This may be an issue if you’re not familiar with French, so it is a good idea to research the key words before you try to play. In addition, if you spin a zero, you will only lose half of an even-odds stake. Other than this, the rules of the games are relatively similar, and if you can learn enough French to understand the words that are on the board, you should find that you can become quite proficient at this variation of the game. No matter which variation of the game you are playing, you will have your eyes on the wheel for the crucial points, which means that it is important that you understand this part more than anything else. If you are playing in a physical casino, then the wheel will be approximately three feet in diameter, however if you are playing online then it will vary depending on the device you’re using to play, the size of your screen, and the resolution. On an American roulette wheel there are 38 pockets, and on a European wheel there are 37, and the difference is thanks to the fact that American roulette has a double zero, whereas the European version does not. The zero and double zero pockets are green, and the rest of the pockets on the wheel alternate between red and black for the whole way around. The only interruption to this pattern is when a zero or double zero is reached – and the pattern simply continues after this point. If you were to take a look at a roulette wheel, you would think that the numbers were random, however on closer inspection you will see that this is not the case. If you choose a number, and then look at the one that is directly opposite, you will see that it is consecutive, so if you look at an odd red number, the next even, black number will be the one directly opposite it on the wheel. If you are playing American roulette, then you can expect the number sequence to be as follows: 0, 2, 14, 35, 23, 4, 16, 33, 21, 6, 18, 31, 19, 8, 12, 29, 25, 10, 27, 00, 1, 13, 36, 24, 3, 15, 34, 22, 5, 17, 32, 20, 7, 11, 30, 26, 9, 28. If you are playing European roulette, it will be: 26, 3, 35, 12, 28, 7, 29, 18, 22, 9, 31, 14, 20, 1, 33, 16, 24, 5, 10, 23, 8, 30, 11, 36, 13, 27, 6, 34, 17, 25, 2, 21, 4, 19, 15, 32. If you don’t understand how to play the game, and are just placing bets entirely at random, then it is almost certain that you will lose money on the game, and this can be very disheartening for players. Therefore, this section will help you to get to grips with the aims of the game in a way that can improve your chances while you are playing. The main aim of the game is to guess which pocket the ball will land in once the wheel stops spinning. 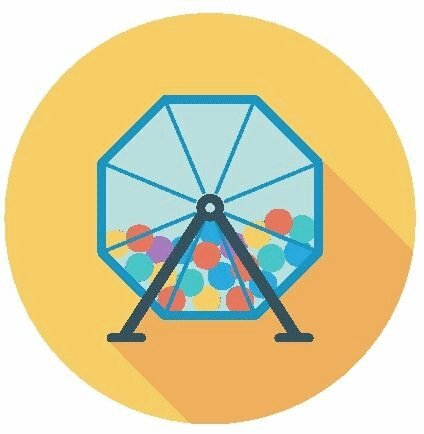 When you make your prediction, you can either guess one specific number, whether it is even or odd, or whether the number is within a certain range on the wheel. In an average game, there will be lots of different bet types placed by the different players at the table, some of whom may choose to place several bets themselves. If you are playing European roulette then the house edge is 2.7% and in American roulette it is 5.26% (the difference being because of the presence of the double zero pocket on the American wheel). The way that the house gets its edge is because of the zero pockets; because if the only options were the numbers, then a flip of a coin would be able to get you even money on many bets. There are many reasons why lots of people lose money when playing online. Let’s face it, if everyone was able to win then the companies would be severely out of pocket. But there are some things that can harm your odds of winning anything, and these are important to think about. - In the end, if you keep playing, you will lose all of your money to the house. They simply wouldn’t be able to exist if they didn’t win more than they lost over time, and for this reason the odds are against you in general over a period of time. - Many people choose to change strategy during their game, if they don’t feel it’s working the way that they wanted, and this can damage your chances of winning anything at all. - Impatience is one of the main reasons that so many people lose money when playing online roulette. If you want to get the best possible strategy in place then you will need to take your time and observe the game, so if you lose concentration and simply try to chase your losses then this is likely to have a negative impact on your overall success in the game. - If you don’t have courage while you’re playing online, then it is unlikely that you will ever be able to win any money from it at all. Being courageous, however, is not the same as being brave. Being courageous is having the patience and stamina to sit around the table making small bets while other people around you are winning a lot of money. Bravery is placing larger bets and trying to chase all of your losses in one go – but you should always remember that you can lose just as much as you can win, and you should never put all of your eggs in one basket. 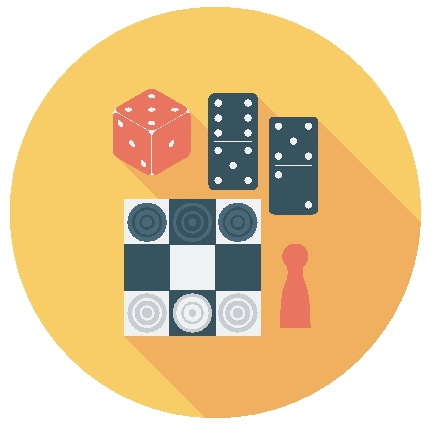 - The strategy that you choose for your game is likely to have an impact on the amount of money that you win overall. Your strategy will change depending on how much you have to play with, what you would like to win, and how much time you wish to spend playing the game. There is no single strategy that is going to fit the game of every player, so it is always important that you can find the right one for you. When you are playing roulette, as a whole there are two types of bet that you can place: an inside bet or an outside bet. If you are placing an inside bet, this is a bet that is placed on the numbered part of the grid, including anything that you might choose to place on a line or an intersection. If you place an outside bet, this describes a bet that is placed on anything that isn’t the numbered part of the grid, which can include betting on red/black or odd/even. Some of the bets that you can place are described below. - Dozen bet: odds of 2 to 1 and covers 12 numbers. Outside bets cover anything that is put on the outside boxes of the roulette table, i.e. not on the numbered grid. Examples of this type of bet are below. - Dozen: betting on numbers across a range of 12, including 1 to 12, 13 to 24 or 25 to 36. Often, if you are playing live roulette, you will find that the croupier will aim the ball for a certain proportion of the wheel on a regular basis. If you notice that this is happening, then you will be able to place your bets accordingly, to ensure that you are betting on the segment that the ball lands in the most often. Doing this will mean that you can beat the house and leave with more money than you started with. This tactic is only possible during live roulette, as the results are completely random if you are playing online. This is, again, more applicable if you are playing roulette live than online. 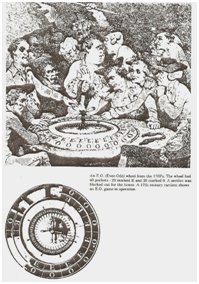 In the 1970s, maths genius Doyne Farmer coined the phrase “roulette physics”, which is based around the fact that the results of the spin can, actually, be scientifically predicted to an extent. In more recent years, a study has been published which relates to statistical models which could help a player to work out the pocket that a ball will end up in using high speed cameras concentrating on the speed of the ball and the trajectory of the wheel. Although you are able to predict both of these things, it is quite difficult to know exactly how the ball is going to bounce when it finally comes near to settling into a pocket. There were reports of manual methods being used in order to allow the prediction of which half of the wheel the ball would land on when the wheel stopped turning. In some cases, the exact number of the pocket that the ball landed in was predicted correctly. Remarkably, this brought the odds for the player up to 18%, which was an impressive increase. The authors of the research stated that a number of players had tried to use their research in practice, however you should be warned that this is not legal and could lead to prosecution – which means that you would potentially stand to lose a lot more than just the chips that you were playing with. Chaos Theory is incredibly complex, and is often thought to be one of the most intriguing theorems of them all. When you are playing roulette, all that you need is an edge, no matter how small, over the house in order to win the game. Even if this edge is tiny, over time, it will mean that you gradually build your profit and eventually walk away with more money than you arrived with. 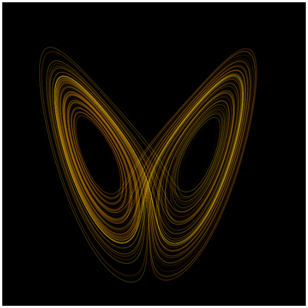 The Chaos Theory is quite similar to the Physics of Roulette system that was mentioned above, in many ways. If you are trying to get an edge over the house then you would need to think about where the ball entered, along with how fast the wheel was spinning and if there were certain pockets on the table that have been chosen more often than others, on average, in the previous spins during the session. By using all of this data together, you should, in theory, have the chance of improving your edge against the house and therefore walk away with a profit. If this sounds a little too complicated for you to understand, then you may be more interested in the strategies that are explained further into this article – as they are much easier to follow as a player. Although many people describe roulette as a ‘game of luck’, in actual fact there is no such thing. Your perceived chance of winning against the house can be calculated through a process called standard deviation. This can be worked out based on 1 = win and 0 = lose, and seeing how these are distributed across gameplay. It is thought that if there are enough games, the results should follow approximately the same distribution curve, meaning that you will be able to predict, to some extent, the likely outcome of each spin. After a certain number of spins (n) have taken place, you should see that the distribution of the outcomes converges to the normal distribution graph as described above. Being able to see this will give you a relatively good chance to have an educated guess about whether a spin is going to win or lose. For example, if you find that after 1,000 spins, the ball has landed in a red pocket 55% of the time, you will see that this is significantly different when compared to the predicted statistics. Therefore, reason would suggest that you should start to bet on black, as the wheel will be “in debt” in a way, and the number of black outcomes when compared to red should even out over time. So, if you see that there is an uneven outcome in this way, you may find that you will have a better chance of winning by basing your bets around the standard deviation theory. However, you will need to be prepared to place a large number of bets, as it could take some time for it to balance out – and there is never any certainty that the numbers will balance out as you predict them to. 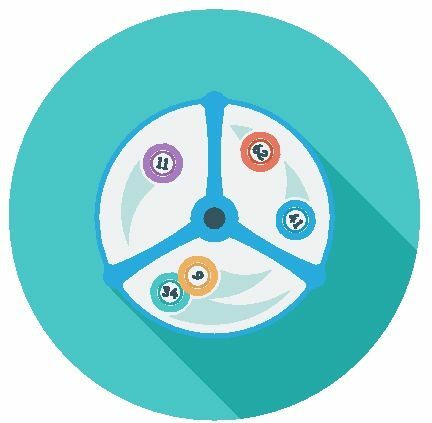 Many people believe that they have no chance at winning at roulette, however the truth is that there has to be a winner of every single game – or the business model of the websites simply wouldn’t work. Even though you might think that some of the above information is quite complicated, there are still plenty of tips that are easy to understand, and that can really help you to improve your strategy, and therefore your overall chances of being successful while playing the game. If you take a look at players who often win while playing the game, you will find that they generally use 3 main rules of creating the perfect strategy for roulette. If you are just starting to learn about the game, or you are trying to practice, then this can often be a good strategy to use. You should place your money on outside bets, and only bet using small amounts at any one time. This means that you won’t lose much money, and when you have the cash to revert back to your normal strategy you won’t be doing so chasing losses. There is nothing to say that you have to win huge amounts of money in one go. A win is still a win, and is something that you can be pleased with. Being strict with yourself, and taking things as slowly as you can, can often bring rewards in the long term. If you have a lot of experience in the game, and know a lot about the statistics that are at play within it, then you may choose to place inside bets as there is more of a chance that you can win a larger amount of money. If, however, you are looking to play more casually, and you have only just started getting to grips with the general idea of the game, then it is much better to stick to outside bets, as this is more balanced – as the choices are only between odd/even and red/black, meaning that there is just as much of a chance of winning as there is of losing. To some extent, the amount of money you have to play with will make a difference, too, as you may be more willing to place some higher risk bets. On the whole, the higher risk bets do give you a better chance of a good return, however there is also a greater chance of losing the spin, so it is important that you try to balance probability whenever possible. The key thing here is patience – if you try to make money too quickly then there is a high chance that you will lose everything before you even have a real chance of trying out the strategy that you have set in place for yourself. You should also never try to chase your losses, because these are a part of the game and no session is going to be without a loss. The worst thing to do is to change your strategy because you don’t think it’s working for you. Instead, you should stick with it, and understand that there are going to be times when things aren’t working well for you – but if you stay strong during those times then you will be able to reap the rewards when your luck turns. You may find that on some days your luck simply doesn’t show up, and you will soon learn when it’s best to step away and stop playing for the day, rather than continuing to try and chase losses. 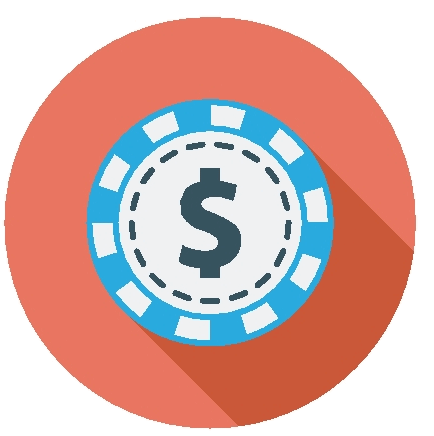 Now that you have read about a number of the different strategies that you could use while playing roulette, you might be wondering which is the best one to give you the best chances of winning. On the whole, and perhaps this is a little frustrating, there is no right answer to this question. Because it is a game of luck, there is no particular strategy that can make absolutely sure that you win – and if you ever see a fail-safe strategy advertised then it is not truthful and you should steer clear of it. The strategies that are explained above are varied, and some may appeal to you while others won’t. It depends on how well you understand the game, how much money you have to play with, and how much time you have in order to be able to put a long term plan into motion. Many beginners find that the low risk strategies are the best, because this means that they are unlikely to lose a huge amount of money, yet may be able to build up some steady winnings if things go their way. The only real way to find out which strategy works well for you is to read about them and then try them – and see the results that you are able to get. The one thing that all of the strategies above have as a similarity is that they create a type of edge over the house while you’re playing the game. There are some people who think that they can use technology to their advantage in this way, and for this they may choose to use roulette bots. These are on your playing device, and will help you to choose your strategy during the course of the game itself. They will take into account the money that you have to play with, and will use algorithms to try and predict the likely outcome of each spin in turn. There are five main methods that such bots use, and these are explained below. In this method, the bot waits for a category to miss, and then places a bet on that category. 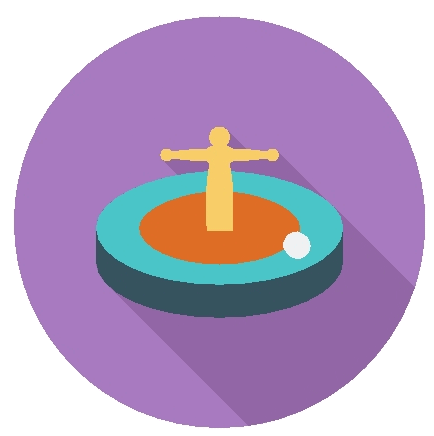 The number of times waited can be decided by the player, who is able to set the bot. 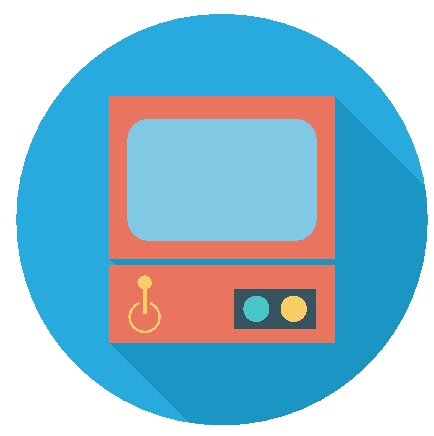 The player programs the bot to wait for a certain number of times for a category to repeat itself, and the bot will then place bets on everything within that category apart from the one that has been repeated. This is flat betting for numbers without progressions. With this method, the player is able to instruct the bot to wait for a number of times. 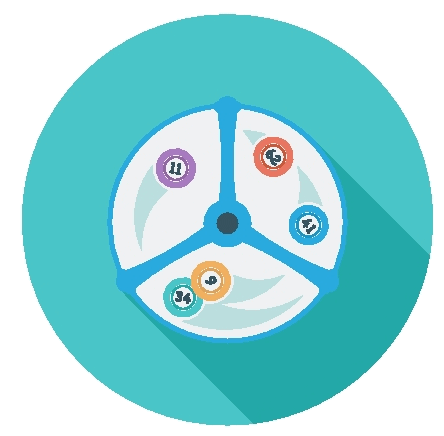 This method allows the bot to track the outcomes from the spins over a certain period of time, and then calculates the probability of the next number that the wheel will land on. The bet is then placed on this number. You can use this method alongside the reverse sleepers method, and it aims to enable you to recover a loss that may have occurred on previous spins. Clearly, if this was a completely certain solution to the game, everyone would be using it, and the game as a whole would have been out of business many years ago. There is no method that is completely failsafe, and as such you should always proceed with caution and never play with money that you can’t afford to lose – however on the whole such bots may be able to help you to develop your strategy and techniques within the game. 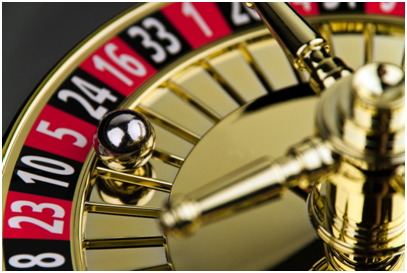 There is a lot of information that can be analysed when playing roulette, in relation to the frequency of spins and the likelihood that the wheel will land on a given number. Lots of this is interesting, however it may not be of any help if you are playing online. You may still wish to read about it, though, as there is a chance that you can still find information that would improve your game in general.